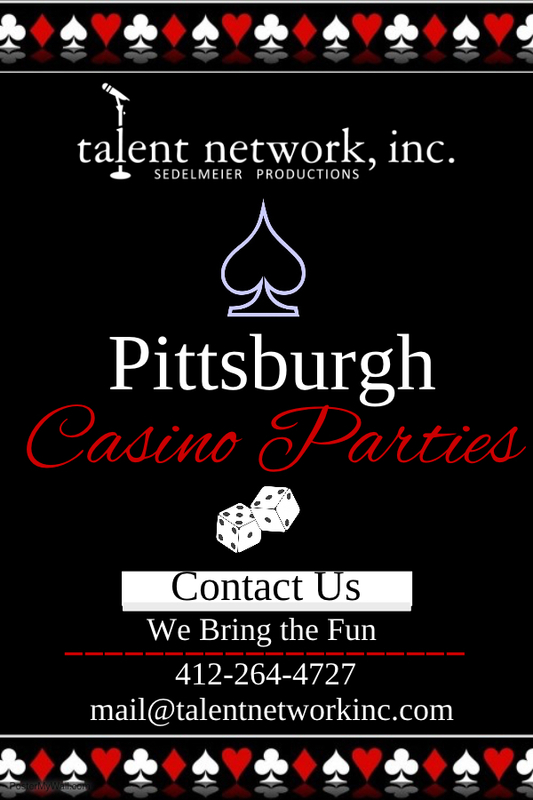 Pittsburgh Casino Parties - talent network, inc.
Casino- themed parties: Here at talent network, inc., we provide live action casino fun with our themed casino parties! 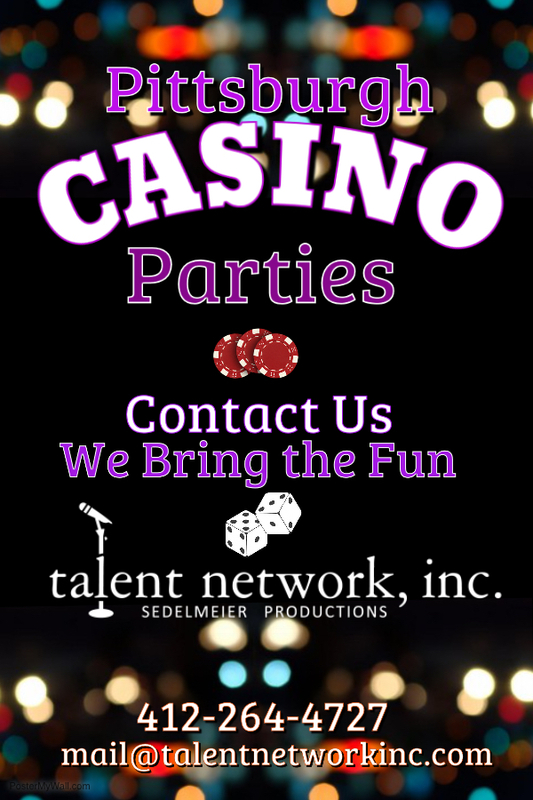 Our expert dealers are personable and making playing all of your favorite games exciting. Book your next corporate, college or at-home event now.